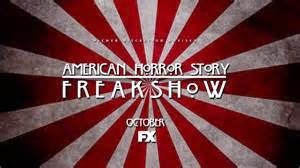 The freak show will begin Wednesday, October 8 at 10 p.m. ET on FX so be prepared. "American Horror Story: Freak Show" will have a plethora of fun characters including: a Strongman; a two-headed woman; the smallest woman in the world; and, Patti LaBelle to keep us company.